The universe of Ceramic tiles is huge and countless! They are popularly recommended as the most prominent titles and are collectively purchased by homeowners everywhere throughout the globe. 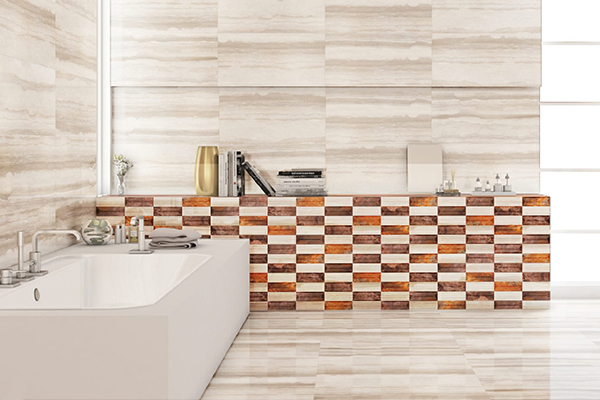 Since the ceramic tiles are common for flooring, now Ceramic Wall Tiles have gained its popularity due to its constant advancement of tasteful designs they add to space. Presently, everybody uses ceramic tiles in their homes. But to make your interior design different from other, you should be inventive and keen to choose your wall tiles and floor tiles designs. 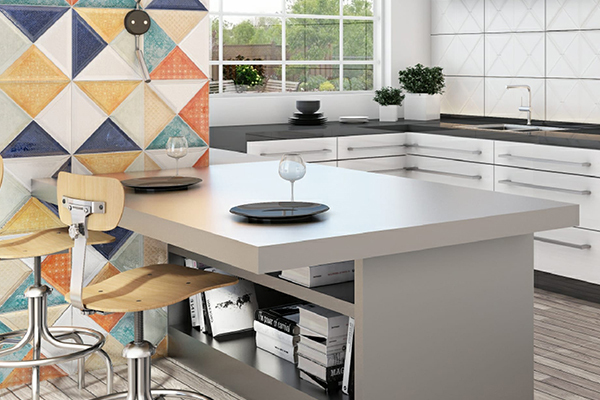 Here are five outstanding thoughts on using ceramic tiles to upgrade the style of your home. One approach to feature your ceramic tiles is to exaggerate them, truly. For what reason not to have a room which is tiled completely, from the floor to wall? This sort of tile plan offers a satisfying stylish view, as well as helps to expand the visibility of the space. Since tiles, particularly ones like Q-BO glazed ceramic tiles, will shine everywhere. Different colors yet same design for floors and walls can spice up the room with the stunning contrast. 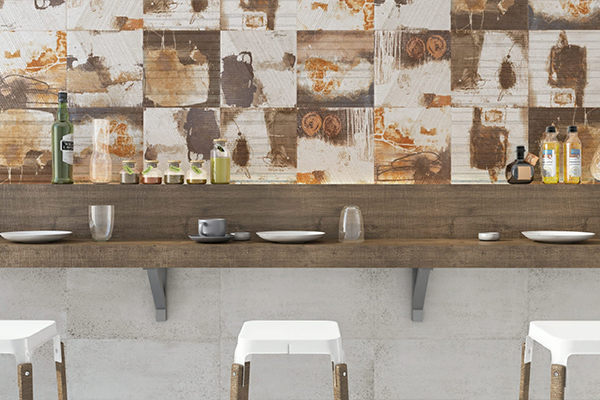 Are you looking to make your ceramic tiles look more live and artistic? Digital ceramic tiles are perfect for you. These tiles are designed by exceptional printing technology which imposes a graphic design and pictures on the surface of the tile. It adds uniqueness to your tile spaces. In case, you are not sure where to use this penny round tiles, I would suggest you it is perfect for your backsplash. Your backsplash should not be neglected, utilize the space and allow the splash to enhance by using this unusual shape - penny round tiles. They are more intriguing than those typical Ceramic Square tiles. 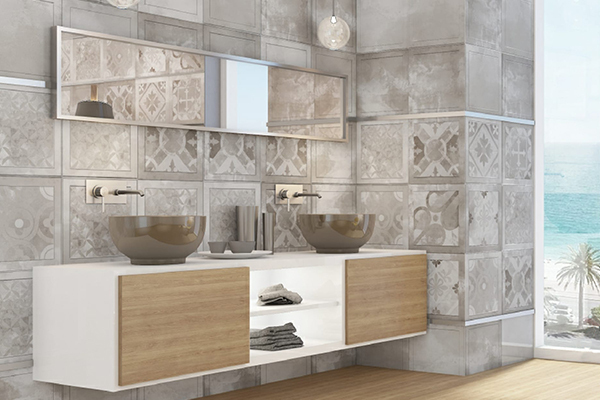 Generally, the ceramic tiles have set a new trend in the Interior Design Industry. One of the latest trends in wall cladding, normally ceramic ones to add on a particular single wall of the room. This highlights the space of a room and attracts the visitor’s attention to the most beautiful feature of a specific room. The best part of wall cladding is they are available in wide range of design and patterns; from stone to wood, giving you the desired material and durable tiles. For the inexperienced, a listello is a band on a wall that serves as a visual stop for spectators. In the event that you want to stretch out your wall tiles to the roof, you can include a strong component with the mosaic band that can fill in as an extraordinary visual complexity. 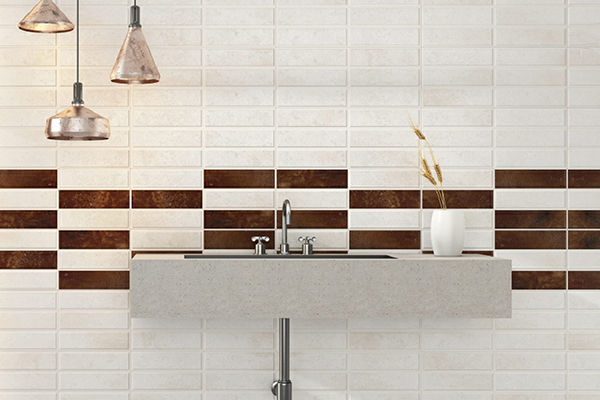 Along these lines, you are adding more visual interest to the whole wall tile format. 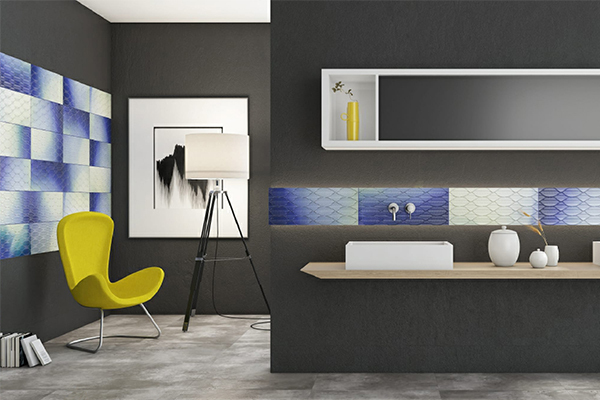 You can lay out this ceramic artistic tiles in a fascinating way by utilizing them as a wainscoting (an embellishing wall cover that expands partially up the wall) in kitchens and bathrooms, or utilize the overwhelming looking dark tiles on your wall to realize a visual appeal of the wainscoting. 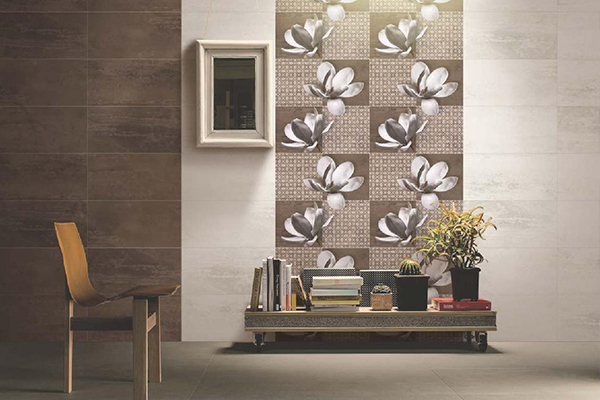 Q-BO Ceramic specializes in a field of manufacturing and exporting Ceramic wall tiles which are available in various designs, pattern, size, and shape. 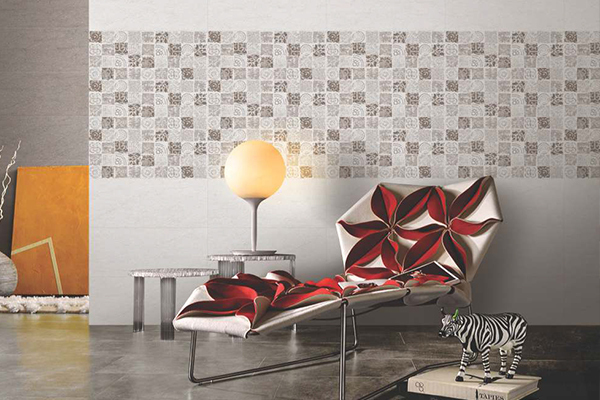 Thus, it makes us popular Manufacturer and Exporter of Ceramic tiles company in India. We come up with new trends regularly. So stay up-to-date with our latest ideas, expert advice and for more information contact us at info@q-bo.in.